This is Freddie Ashley's Artistic Director note from the Serial Black Face program. 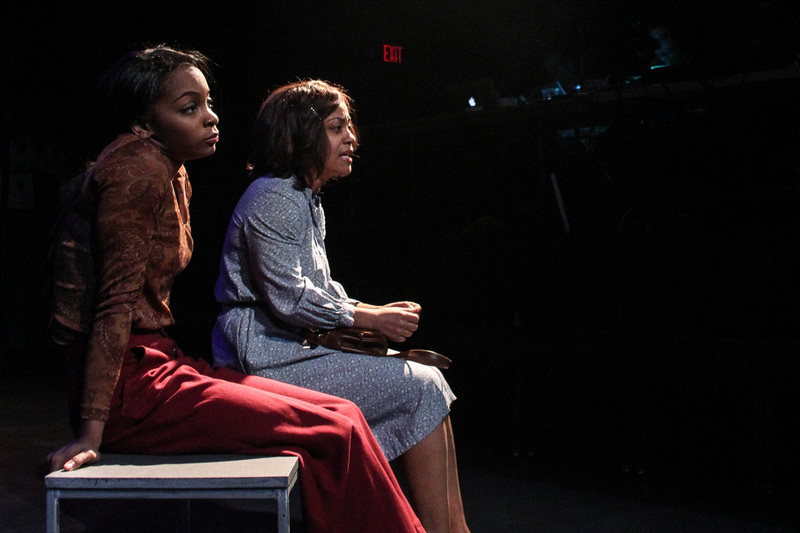 Serial Black Face runs through April 24. Anyone who lived in or around Atlanta in the late 1970s remembers that dreadful period between 1979 and 1981, during which the murders of over 20 black children (plus some adults) at the hands of a serial killer gripped our city. Aside from the obvious horror of the crimes themselves, the Atlanta Child Murders (also known as Atlanta’s Missing and Murdered) revealed systemic problems about race, class and the added vulnerability that is engendered by poverty. At first, many assumed the murders were the work of the KKK. But the fact that the children were disappearing from the middle of their neighborhoods completely unnoticed led investigators to believe that the killer was black and therefore able to blend in to the predominately African-American communities where the crimes occurred. For residents of Mechanicsville and surrounding neighborhoods, this changed the very nature of the threat. Gone was the easily identifiable devil of the ugly white supremacist. Now the killer could by anyone. Suddenly, the threat was invisible and therefore even more terrifying. A serial killer with a black face. Playwright Janine Nabers filters the story of the murders through the experience of one (fictionalized) mother. Rather than write an overview of the entire event, she instead examines it from the inside out, wrestling with the fear that gripped mothers throughout the city and dealing head-on with the complicated choices facing them. When I first read Janine’s beautiful play a little over a year ago, I couldn’t shake my visceral reaction. As I tried to unpack my emotional response, it occurred to me that this horrifying event in our city’s history – one that so many of us remember vividly – has been noticeably absent from conversation in the 35 years since the cases were closed. Is it because the crimes fly in the face of Atlanta’s narrative of optimism and progress? Or is it because the memories represent wounds that have never really healed? Whatever the reason, I felt a surge of responsibility to premiere this play in Atlanta, hoping to offer some small measure of healing for the city and some renewed conversation about the victims, all of whom deserve to be remembered. We tell this story for Edward Smith, Alfred Evans, Milton Harvey, Yusef Bell, Angel Lenair, Jeffrey Mathis, Eric Middlebrooks, Christopher Richardson, Latonya Wilson, Aaron Wyche, Anthony Carter, Earl Terrell, Clifford Jones, Darren Glass, Charles Stephens, Aaron Jackson, Patrick Rogers, Lubie Geter, Terry Pue, Patrick Baltazar, Curtis Walker, Joseph Bell, Timothy Hill, Eddie Duncan, Larry Rogers, Michael McIntosh, Jimmy Payne, William Barrett, Nathaniel Carter and John Porter. Photo credit: Imani Guy Duckette, Tinashe Kajese-Bolden. Photo by BreeAnne Clowdus. Atlanta Theater: Race to Justice Announcing Season 29!